Multiple Domain Hosting offers you to buy a single hosting plan and to divide up your apportioned hard drive and bandwidth into parts that could be assigned to other domains. This allows you to pay for a single hosting plan but to host multiple web sites. How many domains and web sites you will be allowed to have with your multiple hosting account depends on the particular hosting plan. Speaking of multiple domains an additional caution is needed. Some hosts refer to multiple domain hosting as a possibility to have multiple domains all pointing to the same web site. This is used primarily to increase web site traffic. This practice can be harmful as search engines may penalize you for doing so. In order to avoid misunderstandings you should be completely sure what specific host means by 'multiple domain hosting' before making final decision. By hosting multiple domains we understand the ability to have many domains hosted with one web hosting account.Generally you don't purchase a website you purchase a hosting account. In some cases this hosting account can only be used to host a single domain and hence a single website. In others the account can be used to host multiple domains and hence multiple websites. There are of course both advantages and disadvantages of hosting several domains on a single hosting account. The main advantage is, of course, the cost. Because domains are much cheaper than website hosting accounts choosing an account that offer multiple domain hosting is a far cheaper way of hosting multiple websites than purchasing a hosting account for each website. Microsoft windows server2012 R2 is the latest virtualized version but according to a report 61% of businesses are still using Windows server 2003, just 4 months before Microsoft pulls plug on support. An average of £40,000 per company has been set for Windows Server 2003 migration-related projects representing a multi-billion dollar opportunity for IT professionals. The survey says that 8% are intended to keep Windows Server 2003 but 72% are scared about compatibility factor to upgrade with other systems and services. Some 74% are confirmed to migrate to move to a virtualized environment naming Windows Server 2012 R2 as it is a latest version. Windows Server has been worked to support running cloud services like Azure better and if anyone wants a private cloud then Microsoft provides both Windows Azure Pack to give IaaS hosting with cloud style subscriptions and fast VM installation. Power Shell and DSC : Power Shell system allows user to write configurations once and automatically install and remains constant across multiple machines. DSC increases the running of entire cloud data centre with software defined networking which is used to monitor the network Quality of service. Deep Re-factoring : It is the process for Windows Server vNext which delivers a layered architecture that introduces current concept of server roles into the OS to make it more modular. Lowest layer is the cloud optimized server that will be run by Azure. Top layer is the full server that user will use for an on-premise Windows server system. For migration to cloud user has two options which are IaaS (Infrastructure as a Service) or PaaS (Product as a Service). IaaS is straight forward so user can establish a VM to the cloud provider of his choice, install IIS on that VM then migrate the web application from IIS server to the VM hosted in the cloud. This process is the same as user had used to migrate to a Server 2012 R2 server. The drawback of this method is that user has to remove all unwanted stuffs with the cloud hosted VM, which he had with the on-premises box. PaaS is different from this. With the help of this, the cloud provider provides IIS hosting and user install his website to them. There is a responsibility of cloud provider to keep hosting platform and web app more secure. 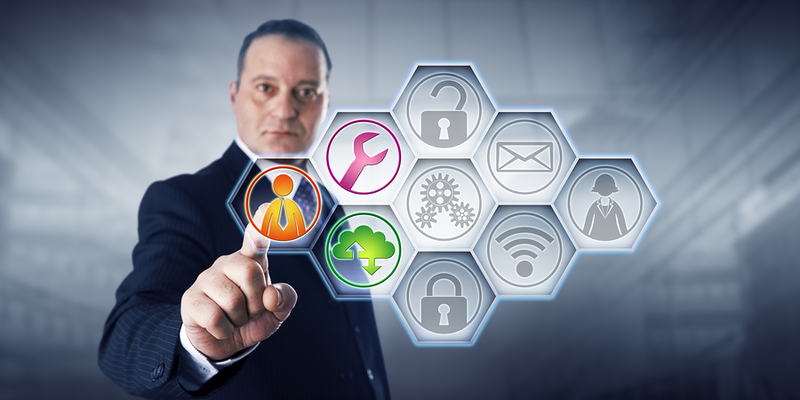 There are a number of third party vendors providing tools for migration. Anyone can reduce costs by migrating his website to a PaaS environment. The new report has came after research named “The Great IT Upgrade”, which analyze the economic and technical field of end of life(EOL) on IT departments. Virtualization changed it powerfully. The VMs belonged to the departments that requested the project and are responsible for the existence. There should be one general price to provide the service of running application. The business value of the application should be scaled on the basis of incremental price for using resources. According to the Web Server Survey, Responses are received from 878,346,052 sites and 5,192,428 web facing computers. Along with all major vendors suffering huge loss of hostnames in March, Microsoft has lost the whooping 8.0 million. It also has to suffer from small loss of market share due to increase in site with missing server banners. In terms of web facing computers, all popular server vendors have had absolute gains in this month. Microsoft is the largest gainer which broke its recent declining trends with 30% increase in market share. We are one of the prestigious company of the market the professional web hosting company cpwebhosting is the leading Windows hosting provider, we offer our respected clients the most affordable and secure Windows web hosting plans. Take advantage of our unique offer and sign up for the professional and low cost web hosting package. We generally consider all kind of users cpwebhosting is targeted mainly to small, medium and large ecommerce companies, webmasters, web hosting resellers and self-employed individuals, who are searching for the affordable and quality Windows website hosting packages. We as the best Windows hosting provider guarantee you the professional and low cost Windows server hosting solutions. Web hosting provider cpwebhosting is very proud to present to you our new advanced Windows server hosting packages. Every day our reliable hosting company tries to improve our Windows and ASP hosting plans. Low price and increasing quality of our reliable Windows server hosting services, we keep the individuality of touch to every our client. Choose the most suitable hosting package for your needs. As the name indicates, cheap dedicated web hosting provides one server for each account. Dedicated web hosting is one kind of web hosting where one or more servers are committed to a single client. Web host offers the server for the clients and hence clients acquire those servers for lease. Therefore, web host provides the server machine, connectivity, required software and operating system to run the server. This type of hosting enables users with the freedom of choosing their own software. Hence, customers who have outgrown their shared hosting limits and still require more, preferably for this service. In fact, it is very flexible as the server administration is provided by the web host. 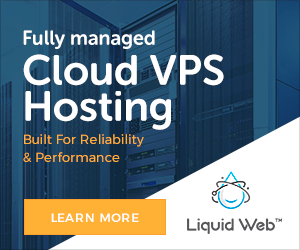 With this hosting option, one can gain the benefits like reliability, flexibility, total control and security without having to work for it. The most important factor related to dedicated servers is Security, and server security can be customized with the help of software or branded hardware firewall. Absolute server privileges enable the user to make any changes in terms of service that run within your dedicated server. Dedicated Server hosting is represented as a supreme selection of servers. Every individual server is logged by developed grade infrastructure which has an ensured maximum uptime. Some dedicated server providers comprise of service level agreement which is related to network uptime. 100& uptime guaranteed network is offered by some providers, whereas, the usual uptime is given between 99-100% for the best quality provider. Server Privacy: When a dedicated server is purchased, a private server with a dedicated IP address is provided, whereas, other hosting type’s shares the server with many websites. This creates an option of violating privacy and an unsecured position. Advanced Support: The best support for websites is offered by dedicated web hosting. A lot of administrative barriers is certainly faced with online businesses. In those case, dedicated hosting helps to overcome such difficulties with proficient support. Round-the-clock service provided by dedicated hosting fix the problems at any time encountered in the system. Server management: Access granted to customize server control panel such as rebooting and upgrading request. Cheap Dedicated web hosting services allow a business to obtain fast, reliable and low-cost internet hosting, supported by top server hardware. Server reboot and hardware replacement in the case of failure are offered by certain companies. Furthermore, there are some top cheap dedicated web hosting providers that offer 24/7 monitoring service for checking the network available on the server. Before registering with a hosting company, it is very important to plan for the required budget and what is needed to be effective in the selected website. While doing own e-commerce sites or other sites that receive a large amount of traffic, then it will be more compatible and economical in the long run to utilize dedicated server hosting. Dedicated web hosting has an entire benefit that suits and satisfies the online business owner’s expectations. Though, it is expensive when compared to other hosting plans, to make an effective and efficient display of business worldwide, try to make out with a good choice of hosting plan which can be of dedicated hosting.